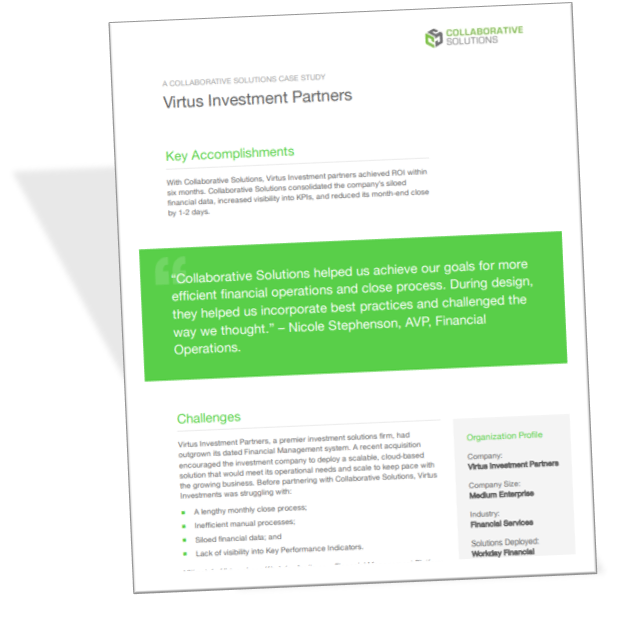 Learn how Virtus Investment Partners transitioned to Workday Financial Management, streamlined manual processes, and achieved ROI within six months. 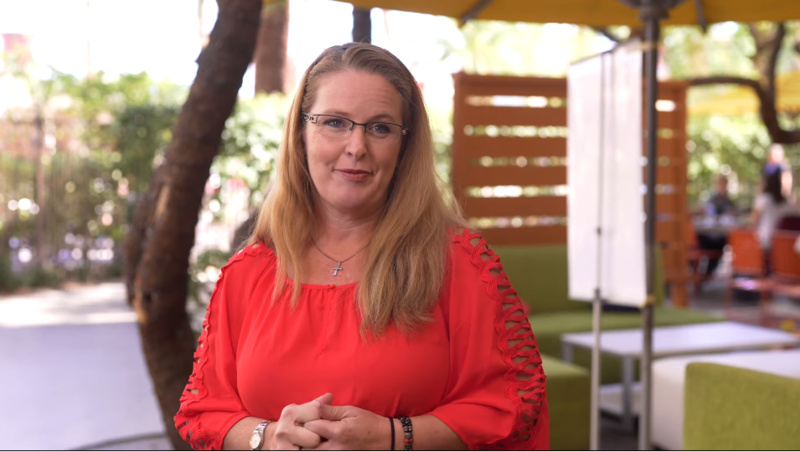 Listen as our customers share how they found family and true partners on their cloud transformation journeys. 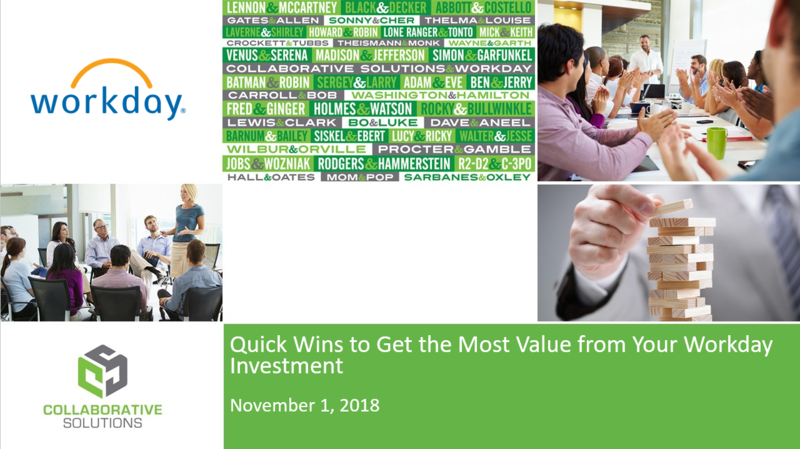 Watch this webinar to discover quick, tried & true ways to help your organization realize the value of your Workday investment. We highlight Workday Onboarding, Business Asset Tracking, and Mass Operations Management. 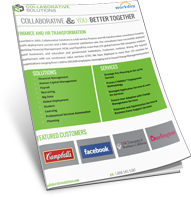 Founded in 2003, Collaborative Solutions is a full service Finance and HR transformation consultancy boasting 100% deployment success and a 98% customer satisfaction rate. 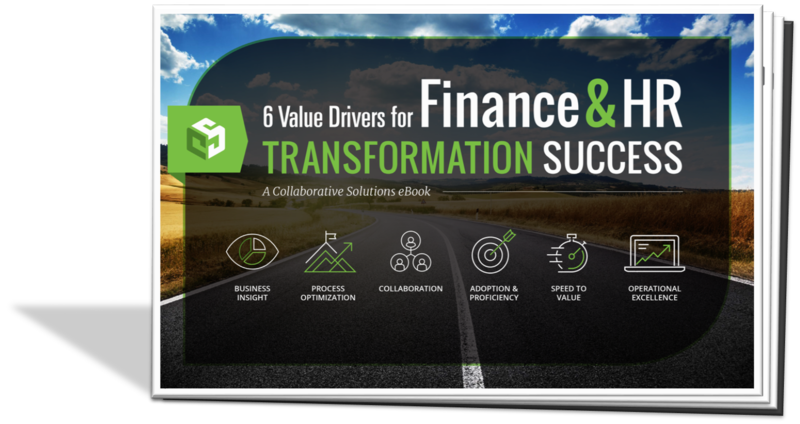 Learn how cloud technologies can help your organization achieve its Finance and HR transformation goals in our latest eBook.